For Jewish Israeli settlers to kill an 18 month old baby is not an accident or an ad hoc incident. It is part of a criminal pattern. When I used to work in the villages near Nablus settlers routinely attacked villagers’ homes with Molotov cocktails at night. On 30 July 2015 settlers attacked a village near Nablus. They threw Molotov cocktails to the villagers’ houses while they were asleep. 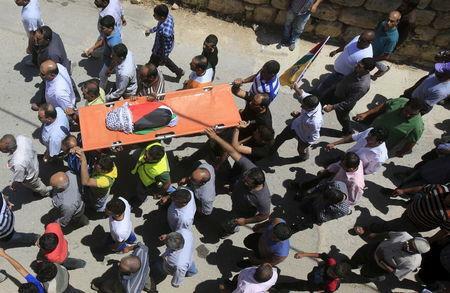 Ali Dawabsheh was burned to death and three family members sustained severe burns. The baby’s mother Reham together with a four year old brother, Ahmad, were burned on 90 percent of their bodies. The father Sa’ad Dawabsha suffered 70% burn injuries. I tried to go back out and shout at the stone-throwers to stop, but they kept on throwing stones at us too. All this time, the flames were spreading. Some of the Jewish spectators were advising the stone-throwers where to target the trapped Palestinians. They were not trying to halt the attack. It took 20 minutes for Israeli security forces to reach the house and extricate us all. To the best of my knowledge, nobody was ever prosecuted over this incident. It was a narrow escape from death (to the dismay, I might add, of some people who posted comments on my article at the time indicating regret that it had ended without loss of life). The attack early Friday morning ended very differently. We are not talking here about a tiny group of wild, deranged extremists. Rather, Jewish terrorists who heed no law, and feel empowered to do as they wish. They are confident that the Israeli authorities will not lay hands on them. And so far, they’ve been proven right. And no, this has nothing to do with any political stance. Early Friday morning, a family was targeted for no reason. This is a foul crime, and is regarded as a foul crime by the most of the Jewish settler population. But the silent majority has allowed these despicable people to grow and flourish. And the state has demonstrated untenable tolerance and turned a blind eye, time after time. And this won’t be the last time that Jewish terrorists seek to murder Palestinians simply for being Palestinians. Indeed, silence screams complicity. The Jewish Israeli society at large needs to speak up against these and other evils. In recent months there has been increasing attacks by Israeli settlers on Palestinian churches, mosques and other sites of worship. 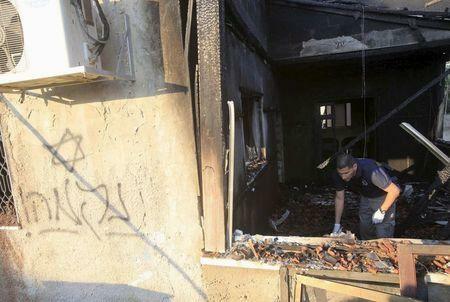 In June of this year the Church of Multiplication of Loaves and Fish near the Sea of Galilee in Palestine-Israel was attacked by 16 Israeli Settlers. The church is on the site Christians believe Jesus Christ performed the biblical miracle of feeding 5000 people with five loaves and two fish (click here). Israeli settler attacks on Palestinian sites of worship are now extending to Palestinian civilian homes, at their most vulnerable moments, at night, in their sleep. 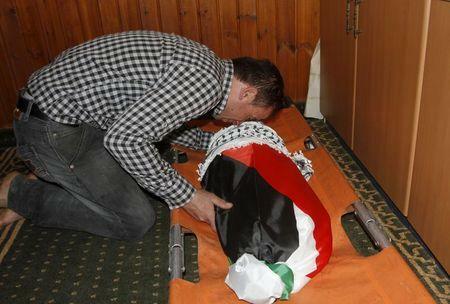 The Israelis who were responsible for the death of Ali Saad Dawabsha and attack on the family must be brought to justice and face the fullest might of the law. In addition, the Israeli government must be held accountable for the impunity that is provided to Israeli settlers who carry out these gruesome attacks on the Palestinian people. We must hold both the Israeli settlers and Israeli government accountable for its crimes against the Palestinian people through all legal means available including taking Israel to the International Criminal Court and through isolation methods similar to how Apartheid South Africa was held accountable in the 1980s for its attacks on the South African people. Not only the people from Nablus and the surrounding villages suffer. Children, women and men – all of them civilians – are routinely injured and killed in the West Bank, Gaza and in East Jerusalem. The United Nations statistics say it all. 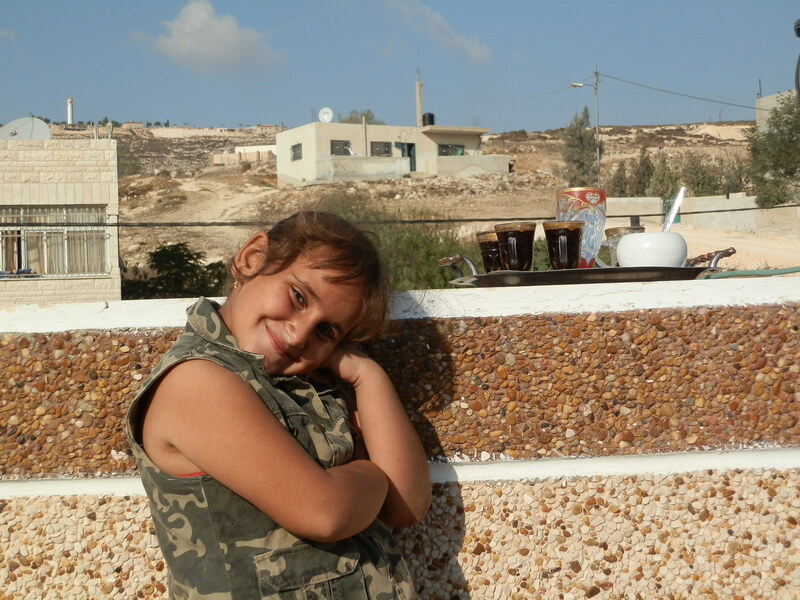 Naja is from the village of Asira near Nablus. The Jewish settlement of Yitzhar is nearby. 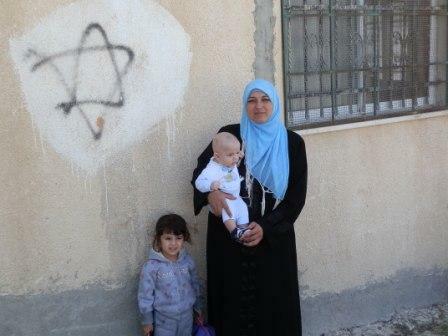 Her house is routinely attacked by settlers and their Molotov cocktails. Her children cannot play outside and their behaviour show signs of severe stress. This girl and her family in Burin suffer from weekly attacks. They too have nothing to defend themselves with other than the stones they pick up in the fields. 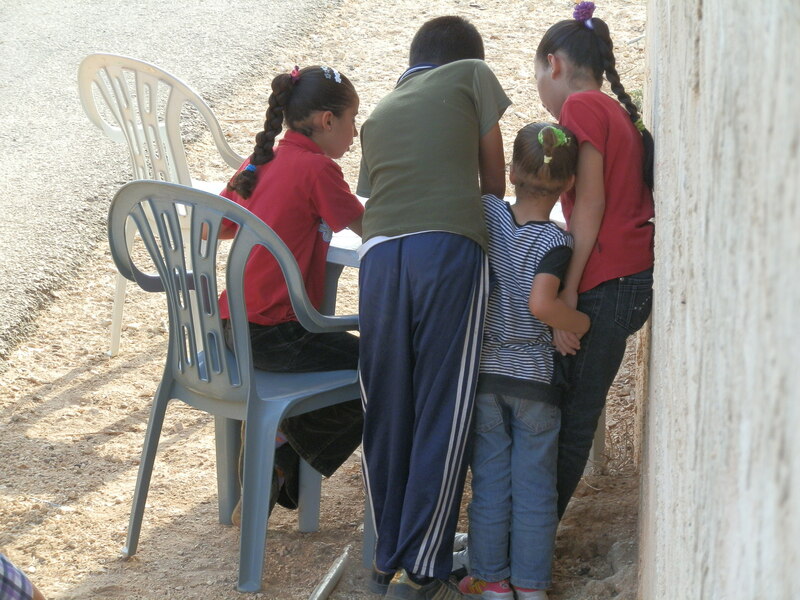 These children are from Yanoun where my team and I were based. They need constant, 24/7 protection by internationals from settlers from the nearby settlement Itamar. It sickens me. What kind of psyche kills a child? Again and again? What kind of government builds more and more homes to house its citizens illegally in Palestine where they create havoc? In the same week Israeli Prime Minister gave the nod for new settler homes – supposedly under pressure of right-wing Jews. It is a dark moment for humanity. Let us continue to advocate for the dignity of all. Our voice is gaining momentum.